The Icon Bangalore is one of the top notch instances of creative residential realty at Off Thanisandra road, Bangalore. The G Corp group has destined a real time opportunity of residential real estate in the Information & Technology hub of India. This development in Bangalore is a hub of necessary posh attributes and accommodations currently. As per the latest real estate scenario the Silicon Valley is considered to be a top- notch nucleus of real estate developments & infrastructure. In this concrete and metallic age of modernization, major part of the land is encrusted of numerous residential, commercial and other infrastructural developments. Southern real estate is an enormous concrete jungle of innumerable depictions of dissimilar segments. 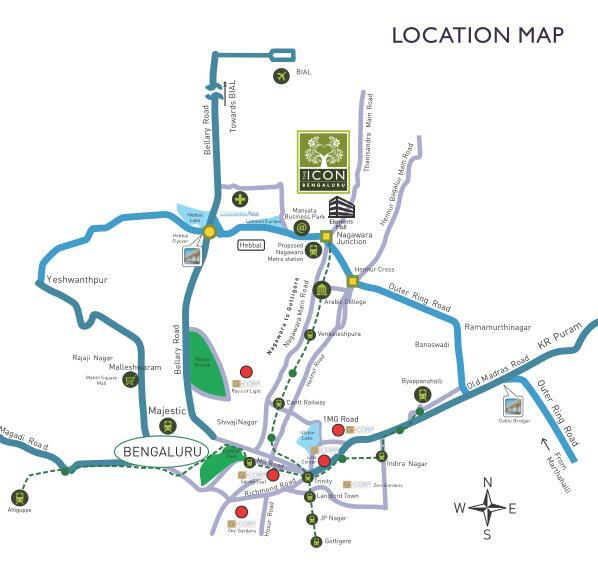 According to the latest details, The Icon Bangalore is an enormous residential development of dissimilar options to invest or to acquire one in the real time. It contains 3 and 4 bedrooms and penthouses of dissimilar sizes in at present. This project is assembled with the 85 percent of green space and posh open areas. All developing variants of apartments are available in the area of 1795 square feet to 3097 square feet. This project has centralized number of amenities such as- flower gardens, forest paths, lounge, fully equipped gym, amphitheatre, Swimming pool, Bird nesting corners, Central park etc. This luxurious undertaking has the seamless connectivity to loops such as - Thanisandra Main road, HBL layout, Bellary road, National Highway 7 etc. There are several public transport services positioned nearby this residential development such as- proposed metro station, airport etc. Hurry up to reserve a sumptuous opportunity through The Icon Bangalore price and payment details in the current time period. Price starts at the rate of Rs 1.27 crores to 2.14 crores for the key range of posh segments.